The final round of D&D's graded track meetings take place on Thursday 11th of August. 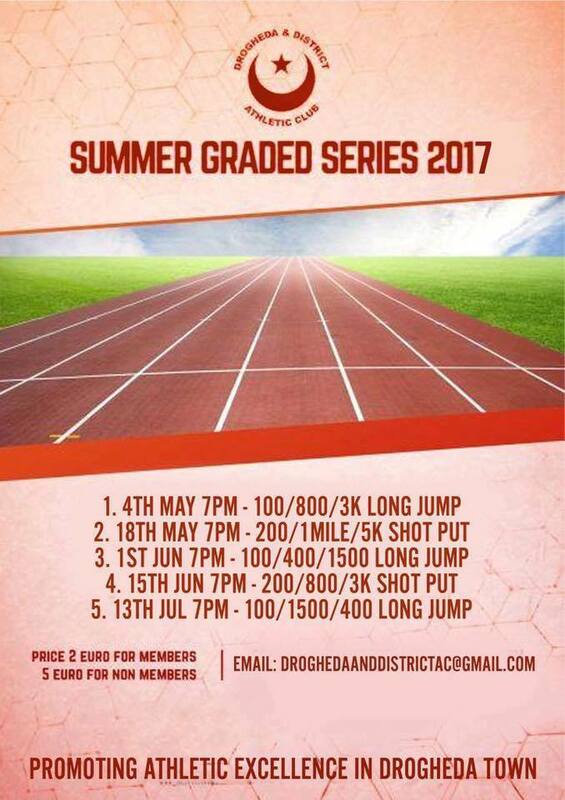 This year's series has proven very popular with support from all the local athletic clubs and also with visiting athletes travelling from as far as Derry and Galway to compete. Over the course of the six meetings, the standard really has risen, with many athletes having to up their game to finish in the top three in their event. In the men's 800m event, anybody thinking of finishing well up in the A race would want to be bringing their sub 2 minute shoes with them such is the standard. Electronic Timing will be used on the night, registration opens at 6.20pm. First event starts at 7.00 pm.